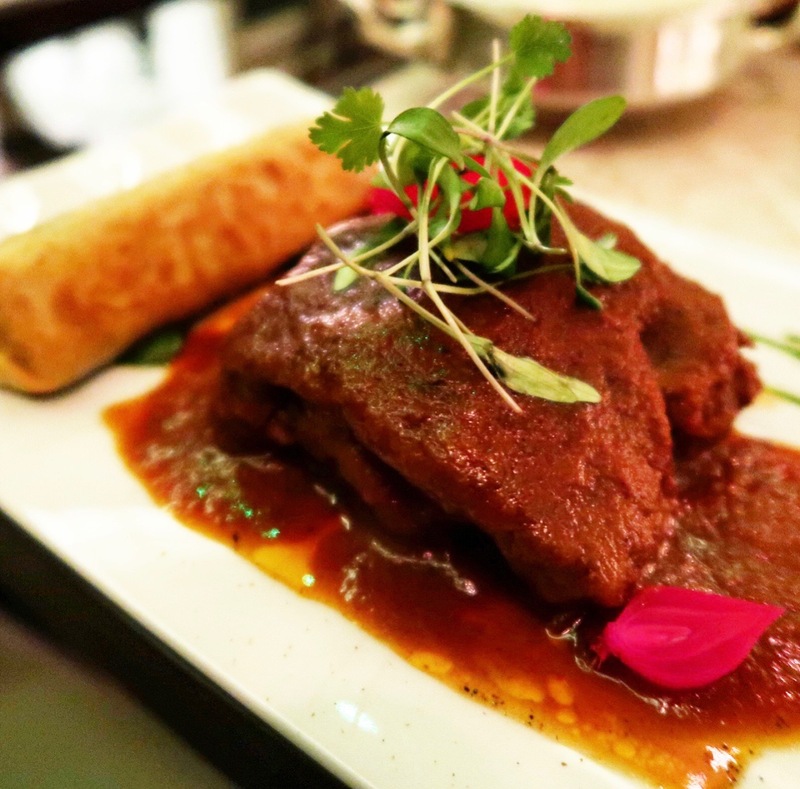 Last year I visited Michelin starred Jamavar and it became my favourite Indian restaurant in London! When the executive chef Rohit Ghai told me he was working on his very first solo venture, I was incredibly excited for him and couldn’t wait for his new restaurant to open! 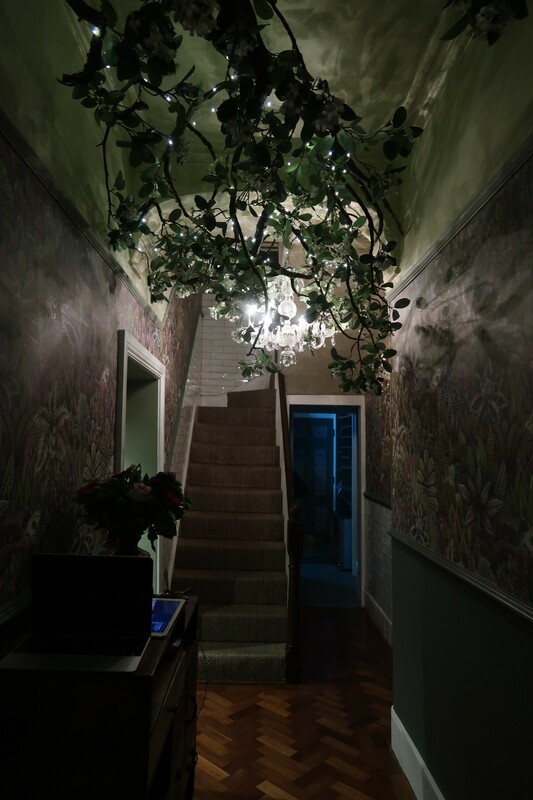 Kutir, meaning “cottage” in Sanskrit, opened up about a week and a half ago in a beautiful townhouse in Chelsea. It is co-founded by Abhi Sangwan, who worked with Rohit at Jamavar, Bombay Bustle and Gymkhana. You have to ring a bell upon entering and are welcomed into a stunning restaurant, inspired by the Indian countryside. 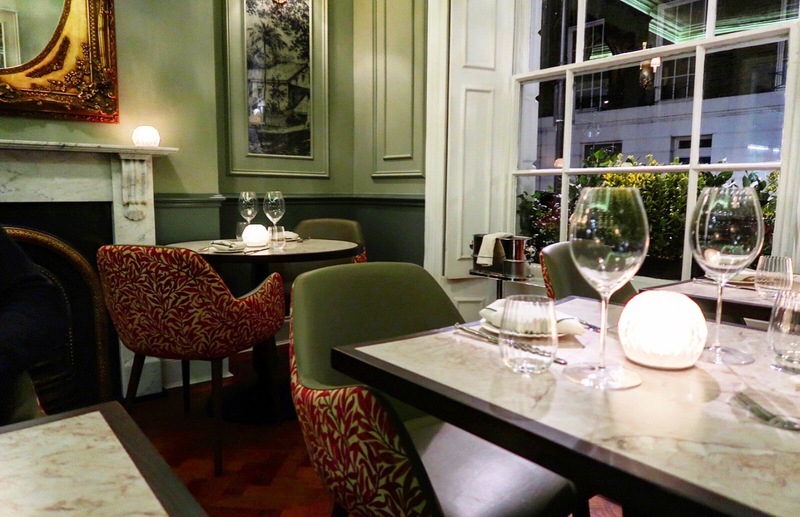 I was in awe of the beautiful decor and cosy atmosphere. I absolutely loved the lemonade. It was refreshing and had a subtle vanilla aftertaste which was delicious. I loved it so much that I ordered another one! 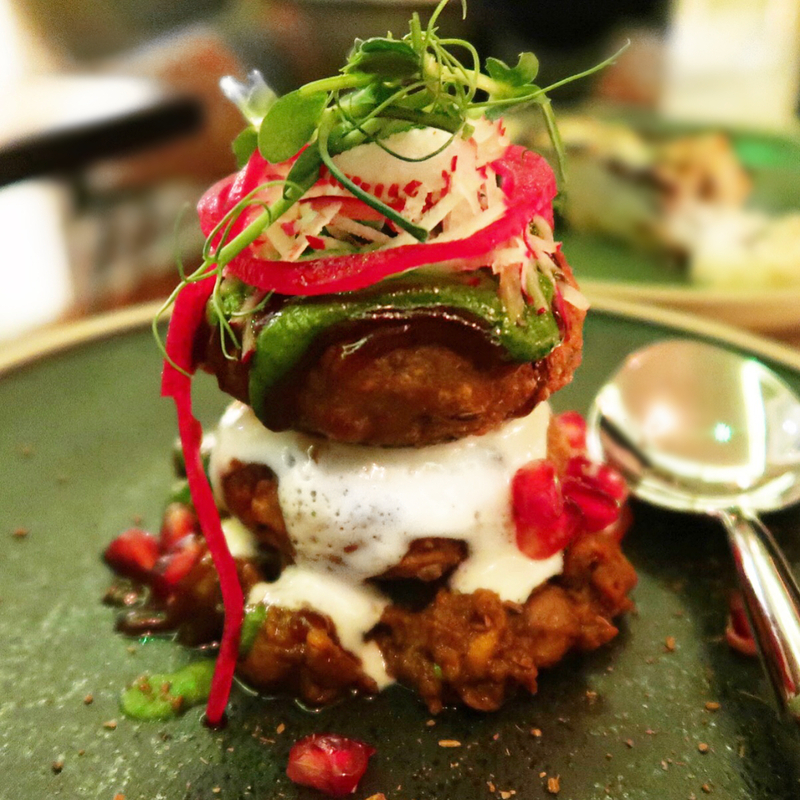 Two crispy potato patties arrived on a bed of chickpeas, tamarind chutney and honey yoghurt. This was absolutely delicious and was packed with flavour. The honey yoghurt broke the sharpness of the chutney perfectly and it was great. 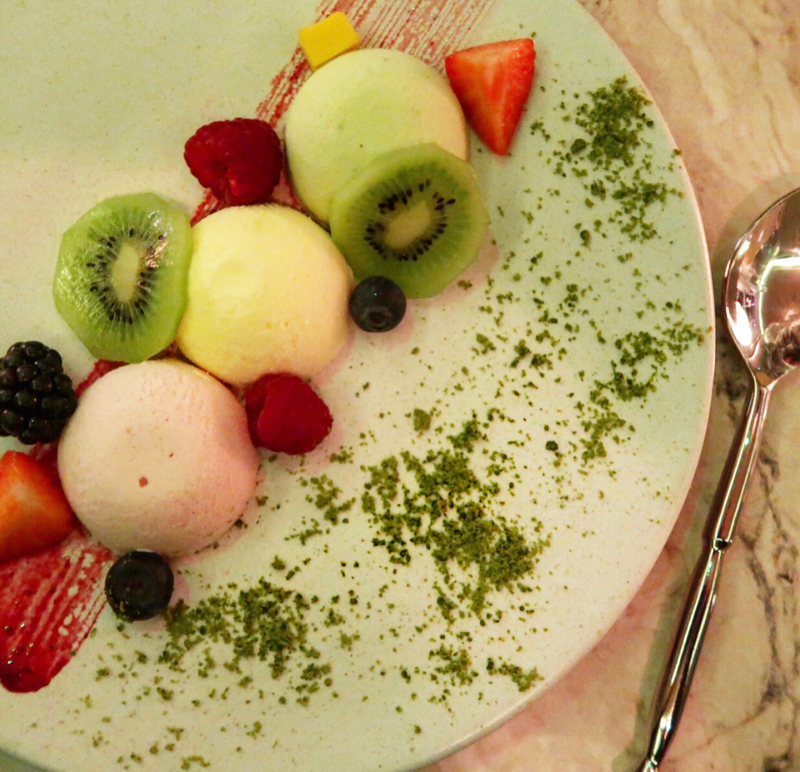 I also enjoyed the pomegranate which added a refreshing touch. You can’t go wrong with lamb chops! 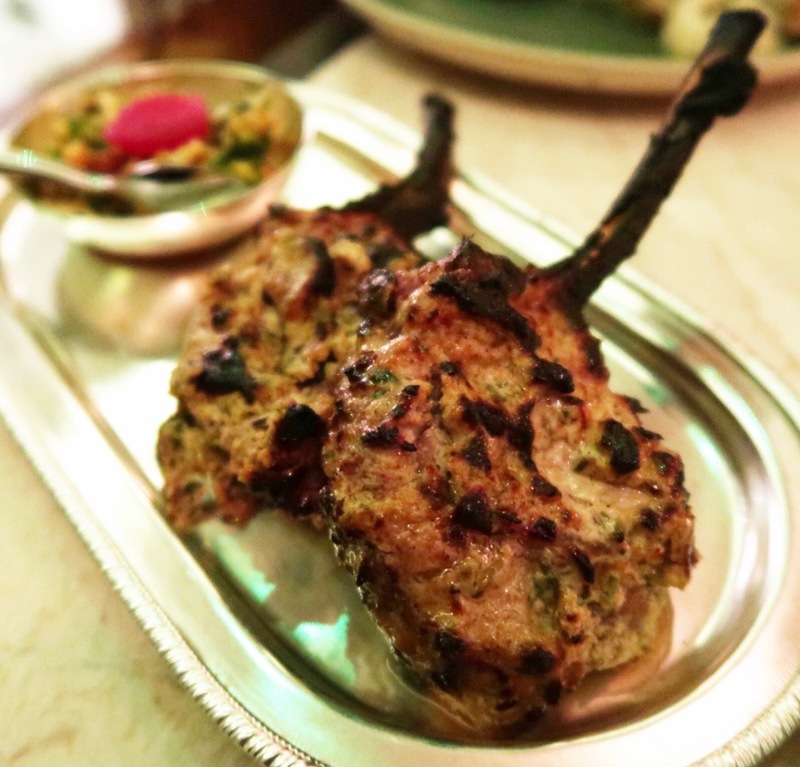 These chops were juicy and pink inside and gave off a lovely smoky flavour straight from the tandoor. The meat had absorbed all of the spices well and you could really taste the richness of the cumin. 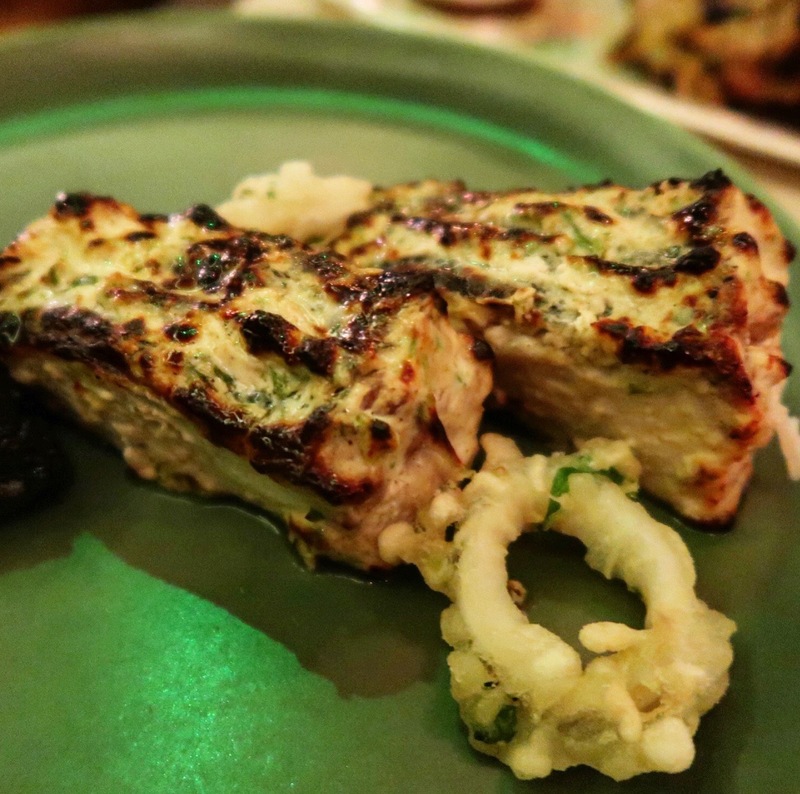 The stone bass at Jamavar was my favourite dish so I was very excited to try Rohit’s version at Kutir. Although the fish was tender and packed with flavour, I didn’t think it melted in the mouth as much as it did at Jamavar. It was served with fried squid which I think could have been more flavoursome. For mains, we opted for the 24hr lamb roganjosh. 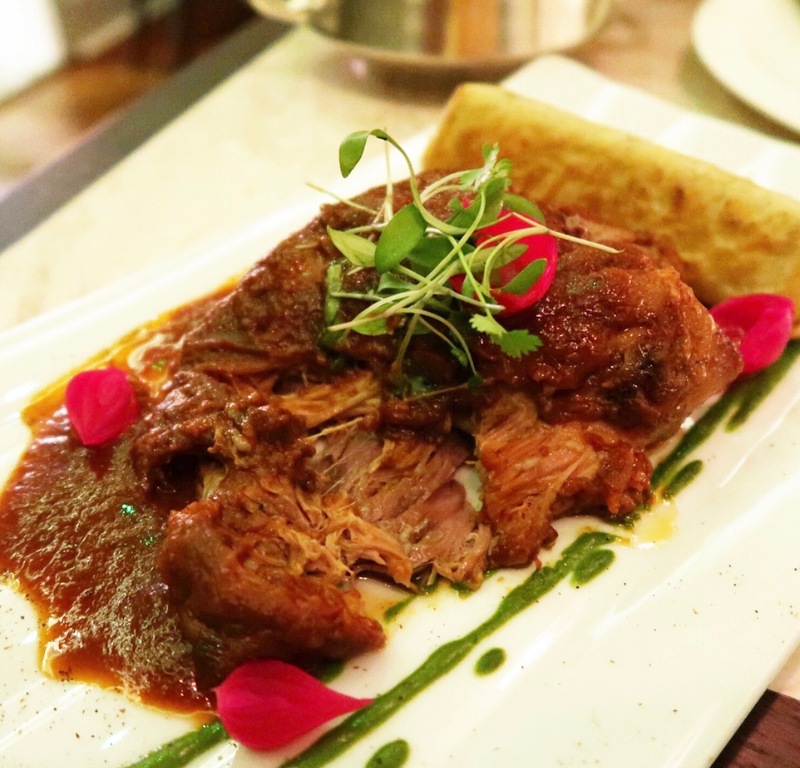 The lamb shoulder was incredibly soft and succulent and impressively fell apart when cutting it! Personally I would have liked it to have more of a kick. It’s served with an offal samosa. 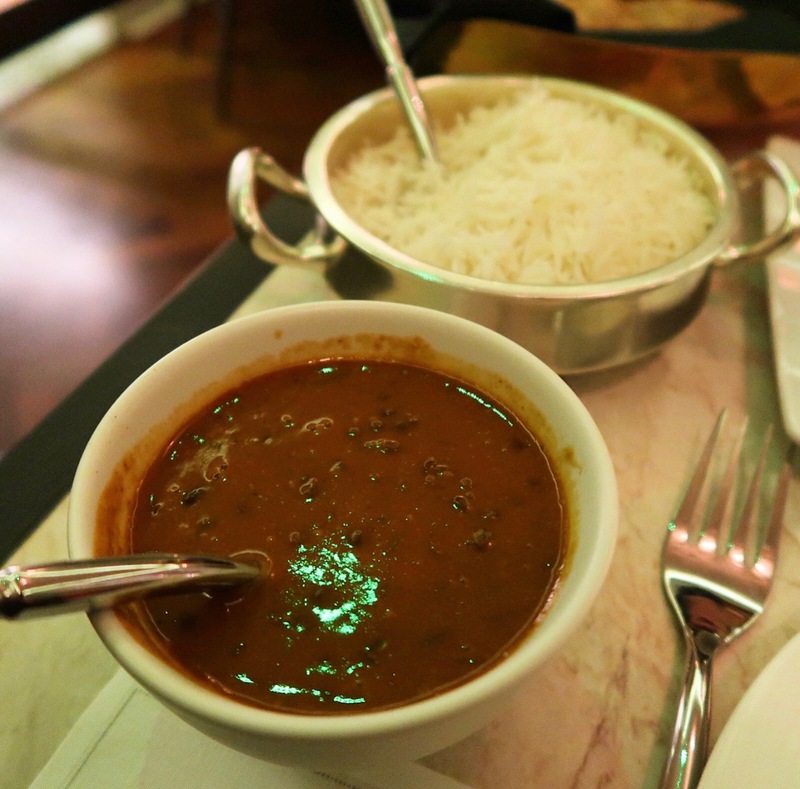 Velvety black dal with fluffy rice. For dessert we opted for the trio of kulfi including paan, rabri and pistachio. They had a smooth texture and were infused with rose water making them really refreshing. 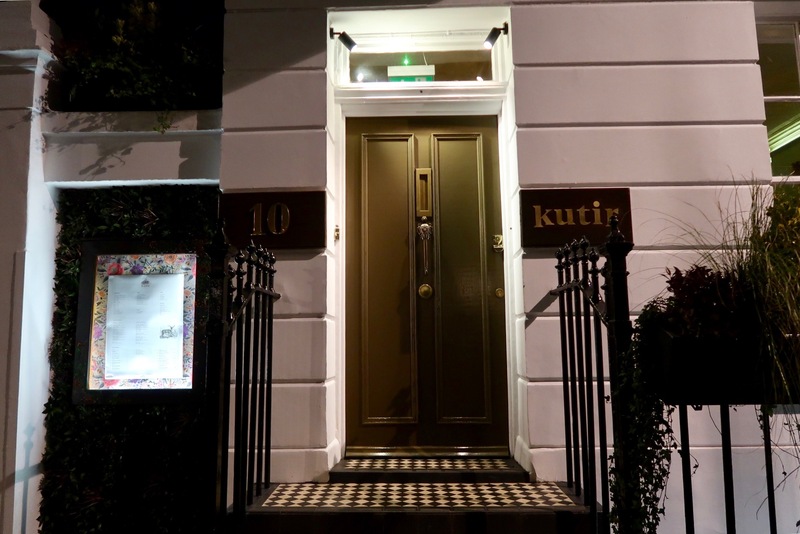 Overall I thought Kutir was very impressive and I can see great things coming its way. It has been open for less than two weeks and the service is excellent.